This is a regular blog post. Looking for show notes and links to episode audio? Check out the other posts. It’s all here! 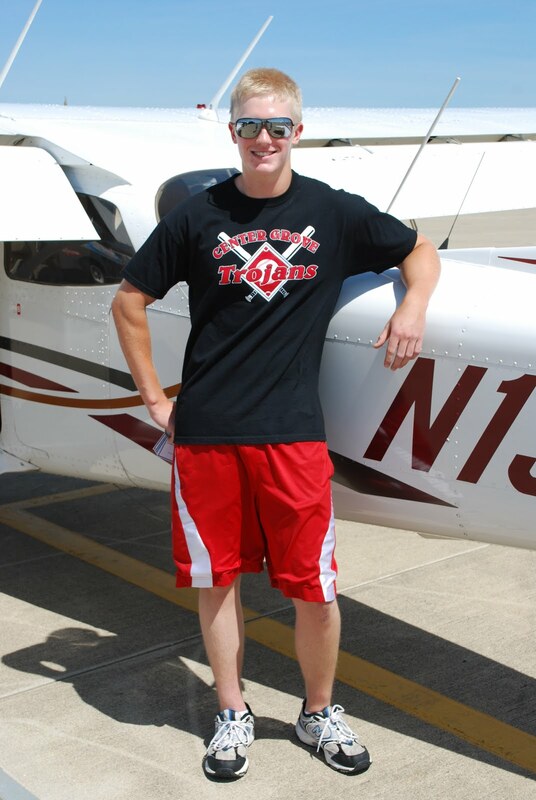 A meandering trip this morning and early afternoon through Dayton and then over to the Mount Comfort Airport. A stop at the Waffle House, 25 minutes hung up in a gawker jam, lots of podcast listening, and then the parking lot at Indy Aero. It’s that time of year again! Time for the Indianapolis Airshow! I attended the event for the first time last year and I’m enthusiastically back. Thursday before a show is one of my favorite times. The ramp is relatively bare. But the energy is building. A fleet of golf carts awaits volunteers and staff. The rows of vendor tents are going up. 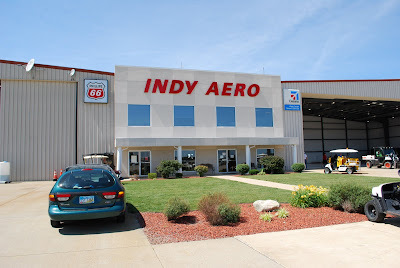 Indy Aero, the FBO, is starting to buzz with activity (red shirts everywhere!). People like Billy Werth who were new friends last year greet you with familiarity that far exceeds the time that life has thus far let you spend together. It’s a special time when a performer aircraft are arriving every half hour or so and golf carts and tug whiz around like crazed gophers. But, at the same time, right next to Kent Pietsch’s Jelly-Belly-liveried 1942 Interstate Cadet and Billy Werth’s Pitts S-2C, 30-hour student pilot Jon Ebbeler is preflighting his aircraft for a few trips around the pattern. 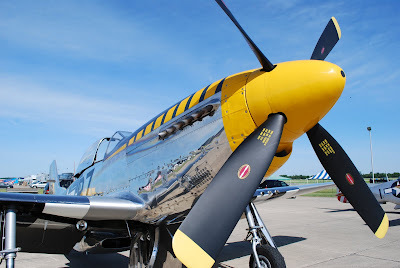 I strolled through the hangar and got some drool on Mike Goulian’s Extra 330, one of the Horsemen’s P-51 Mustangs, and the Red Eagle II. Then I strolled the ramp with Liza Eckardt from Fence Check. Although mostly unpopulated, parts of the ramp were beginning to take shape. The A-10 Thunderbolt IIs of the U.S. Air Force Air Combat Command East Coast A-10 Demo Team had arrived and the maintainers were getting the birds show-ready. 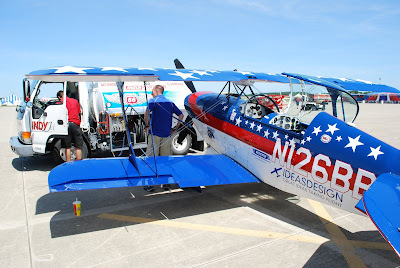 Although he was busy, I got Maj Johnnie “Dusty” Green to talk energy management and aerobatics on camera in front of the aircraft as a possible sequence for the Acro Camp movie. The A-10 has no afterburners, so energy management is very important to both combat maneuvers and the airshow demo profile. With no blowers to fall back on, the energy you have is basically the energy you have and you have to manage that while supporting the ground operations and potentially being shot at. 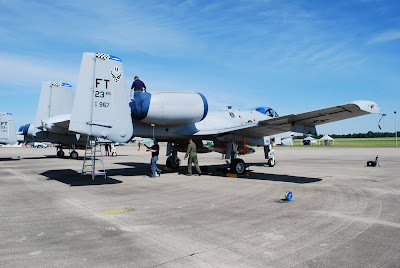 By the time we got the rest of the way around the ramp, all three of the Horsemen aircraft were on the ramp and preparing for a flight to warm up and work out some elements of their demo. The ASB.tv package at the show is pretty impressive. The Horsemen, Mike Goulian, and announcer Rob Reider form a pretty impressive core of airshow entertainment. I got the chance to sit down with managing partner Kurt Kratchman at the ICAS convention in December and talk about everything from the airshow operations to other properties like Mike da Mustang to the online presence (which, by the way, includes the innovative BlackBox presentation engine). And, of special interest to me and other aviator-musicians, composer James Horner has scored and directed the music for the Horsemen’s demo. You’ve heard Horner’s stuff. To name just a few of the 100-odd scores he’s worked on: Braveheart, Apollo 13, Glory, A Beautiful Mind, The Perfect Storm, and Avatar. (And Apollo 13. And Apollo 13!) You get the picture. Horner is tight with the Horseman and gets to ride along with some frequency. There’s a short film at ASB.tv called Write Your Soul that goes into the backstory. 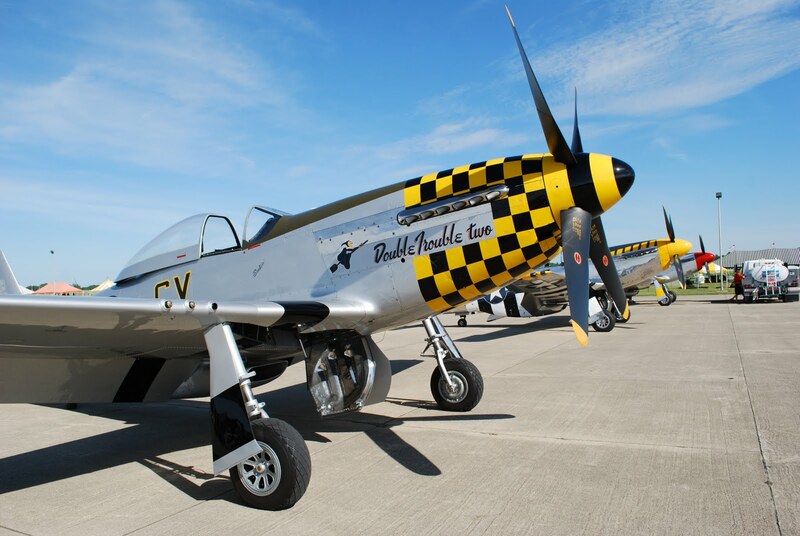 Kurt, Ed Shipley, and others from ASB sure seem to have a broad and deep set of properties in the airshow and lifestyle vertical. And I think what they’re doing has the seeds of revolution for some areas of new media. I’m perhaps pretty decent at thinking deeply about the present infrastructure and shape of new media. I think I play well with that. But I look at ASB and see a gathering critical mass of . . . something. I don’t know what and I’d be foolish to speculate. But there’s a lot of talent and resources in very close proximity. I’m watching ASB.tv pretty closely and can’t wait to see what happens. Anyway, the time hack for this post will likely be in the ridiculous hours of the morning, so I’m going to go ahead and post this. Media credentialing is at 0800 local and I intend to be there. Bleary-eyed, but there!